Four panellists discuss how their companies have engaged with millennials, and whether millennials are all that different from the generations before. Clockwise, from top left: Christie Chu, Puneet Arora, Deborah Heng, country manager, and Kwan Chong Wah. Many have created new products aimed specifically at engaging the millennial consumers. How have companies adapted their offerings to suit this group? Are they very different from the generations before? 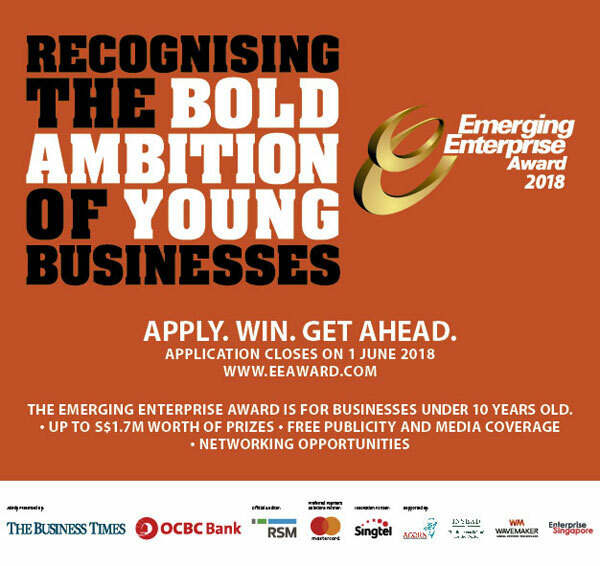 Partners of the Emerging Enterprise Awards share their views. Navin Sregantan (BT): Contribution by millennials towards economic growth keeps increasing, and in the past few years, companies have been placing more emphasis on engaging the millennial consumer. Why is this demographic of consumers important to your company? Christie Chu: To many millennials, MNCs and other big companies may not have the same allure as before. Instead, more are becoming entrepreneurs or looking to join startups globally. A global entrepreneur survey conducted by GoDaddy in 2016 found that 74 per cent of millennials surveyed in Singapore intended to start a new business or become self-employed in the next 10 years. They also are becoming entrepreneurs at a younger age. These trends bear out when we look at our customer base, so it is important that we understand them and cater to their needs. Being there with them at the start of their business journey is important. We hope we will be able to provide them with the support that they need over the years as their businesses grow. Puneet Arora: Millennials will form over half of our workforce and represent the largest group of consumers, both online and offline - making them an important group of consumers to many of our clients. As an audience, they are well-travelled, digitally-savvy and discerning. They make informed purchases based on online research, social media and peer recommendations. Understanding millennial behaviour and engagement is key in helping us shape communication and media recommendations for our clients. Deborah Heng: The Mastercard Index of Consumer Confidence found that consumer confidence improved significantly across South-east Asia in 2017, and millennials with disposable income are driving this consumer spending growth in Singapore. They are comfortable with new technologies in fintech, and this behaviour is already shaping how Mastercard engages with them. As digital payment options grow, millennials are increasingly going cashless with their payments. This extends beyond cards and includes smartphones, biometrics and wearable technology such as fitness trackers. We want to give our cardholders the choice and peace of mind to make secure digital payments through a variety of connected devices. Kwan Chong Wah: As a marketing consultancy with a deep understanding of consumers and market trends, it is important to thoroughly understand what makes millennials tick. They are a key target segment for some, if not all of our clients. Having said that, it is important to point out that millennials are not the only segment of interest among our clients. If you look at the demographics of Singapore, the size of the millennial segment is similar to the silver segment. And in terms of disposable income as well as discretionary income and time, I would posit that the silver segment is just as important. Other segments of interest with either high disposable income or discretionary time (or both) include professional women, young families and empty nesters. BT: Studies have found that millennials place a premium on engagements with brands, often with the view of co-creating products. What do you think of such avenues for collaboration for building and maintaining brand loyalty, which seems to be lacking among the millennial consumers? Christie: FRANK by OCBC is one example of how we engage younger consumers. We also introduced OCBC FRANKpreneurship, a four-month internship for penultimate year undergraduates, equipping them with entrepreneurial skills while working in a banking environment. For SME banking, we focus on what we have always been doing for more than 80 years: supporting SMEs through their life cycle. By providing the necessary funding and products that meet their needs, brand loyalty will follow. This applies to all business owners including millennials. Puneet: Millennial consumers desire new experiences, seek authenticity and uniqueness, and the same is expected of their interactions with brands. As such, collaboration should be seen as an opportunity to drive brand affinity for business growth. This can be carried out in several ways, such as peer recommendations to consider a particular brand. These extend beyond co-creation - many brands have driven user-generated content through social and branded activations. They must first consider the relevance of their products, marketing activities and messages. Without this, anything brands put out there will not be effective and may even face potential backlash from consumers. Although millennials are often thought of as less brand loyal, the same can be said of many customers today. What is important for brands is to continuously cultivate relevance and address what matters to audiences, such as a positive product experience and being open to feedback. Chong Wah: End-users of products and services are often not the best people to come up with breakthrough ideas for new products. But observe end-users, hang-out with them, chat with them, 'live in their skin', and you may start to get a spark of an idea for a new product. Involve them in the prototyping process of product development, where you are looking to fine-tune or perform final checks on a product. Companies should do this for millennials and other user segments. Instead of perceiving them as lacking loyalty, brands can also ask themselves if they have failed to differentiate themselves from their competitors. Information is readily available for consumers to make product comparisons. Engaging millennials in the co-creation phase may be a good thing provided they learn more about a company's brand, philosophy and products. Ultimately, to gain the loyalty of millennial consumers, companies should look beyond co-creation and instead look to building an end-to-end experience. BT: Studies have also shown millennials to be social-conscious, expecting companies and brands to give back to society. Has this affected your company's drives toward issues such as environmental sustainability, or triggered the creation of driven products or offerings? Christie: OCBC Bank has always believed in giving back and being socially responsible. It is a part of our culture and we will continue to be active in CSR. The objective here isn't to win over customers but to use our resources and engage our customers so that we can work collectively to help our community. An example of this is a collaboration we had with one of our SME customers on a food waste-composting project. Another OCBC customer, who is an egg supplier, worked with us to provide trays of eggs to 2,500 needy families. It is a bonus to us if our initiatives build brand loyalty among our millennial customers. Puneet: Millennials are more socially conscious, and that has a lot to do with the world they live in today. With the development of world issues and the availability of social channels, they are more worldly wise than generations before them. Many brands are attempting to address issues such as environmental sustainability, and this will increasingly become a societal expectation not limited to millennials. Whether brands focus on this area must be a function of relevance, not only to their audiences but also to their brand values and proposition. Any lack of authenticity will be picked up quickly and might work against brands. Deborah: Making giving part of everyday life is something that is important to not just millennials. More than half of the consumers surveyed (50.4 per cent) in our ethical spending and charitable giving survey in 2016 said they were doing their part for charity through donations. The findings revealed that children's charities and poverty alleviation are among the top causes consumers in Singapore would support. The survey also found that monetary donations are not the only way consumers are giving back. An average of 44.5 per cent of consumers in Singapore were making purchases both in-store and online in support of ethical causes. Through our citizenship initiatives, we are also working closely with partners to provide consumers with convenient ways to support ethical and charitable causes that matter most to them. BT: When the older half of millennials approach their mid-30s and 40s, how do you foresee the changes that your company has to make to capture their changing preferences? Christie: Customer needs are always evolving but we stay true to what we believe in: making banking simple, fast and convenient for our SME customers. In recent years, we have introduced digital offerings that have made banking seamless for our customers. We will continue to introduce more digital solutions that benefit our SME customers by looking beyond banking. Working with fintech companies and other partners, we believe that we can provide innovative value-added services. This isn't just for the benefit of millennials, but for all our customers. It won't be long before we have to cater to the needs of Gen Z, and this is a generation that will be even more tech-savvy and have the highest standards in terms of efficiency. Deborah: To meet the needs of future generations, we are thinking differently and designing our products to ensure every Mastercard account is digital. We need to be present at every point of interaction to stay adaptable to the changing preferences of consumers. Through research and surveys, we are able to understand the consumer journey of our cardholders, which helps us define, innovate and deliver what is next for commerce and payment. Our vision is to help build a world beyond cash and provide cardholders with simplicity, seamlessness, speed and security in their everyday lives. Chong Wah: We are already directing our clients to have them in their sights and we have evidence to show that there are sub-segments of millennials. Some of them behave less like the 'stereotypical' millennials, and more like the 'stereotypical' Gen X. Collectively, millennials exhibit traits that are different from their parents or grandparents. But to conclude that these different traits would impact their consumer behaviour uniformly across different product categories would be over-simplifying things. When crafting a brand strategy, targeting a particular user segment is a good place to begin but companies should look at whether buying behaviour is linked to generational behaviour more than other factors like income and education.